The U.S. fired 105 missiles on April 14, including 60 Tomahawk cruise missiles, according to the Pentagon. The missiles hit targets throughout Syria ostensibly in response to the possible use of chemical weapons by the Assad government against Syrian civilians. This would not be the first time Assad had deployed chemical weapons in the civil war against his government, but neither is it the first time the American empire used the language of compassion to justify military intervention. The strike was a decision that deserves widespread condemnation for a number of reasons: it was not approved by Congress and therefore likely illegal, and it was, as prominent democrats have argued, not connected to any larger strategic plan; however, most importantly it was profoundly immoral. It is on that basis that we ought to condemn this and any military action by the U.S.
To begin with, there is nothing compassionate about a cruise missile. It’s absurd that this even needs to be said. If the American government had any compassion whatsoever, it would not be refusing to admit refugees from the Syrian Civil War, which has served as a proxy for the power struggle between the U.S. and Russia for years now. And it’s not just Syria, the U.S. has been destabilizing countries and then refusing to help refugees consistently since WWII. 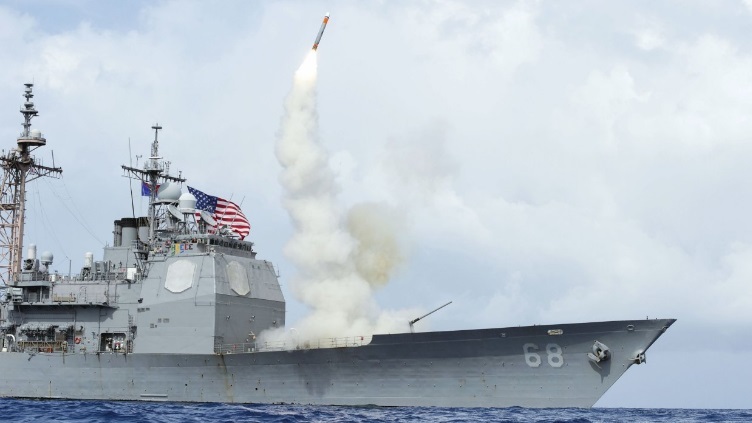 An article by CNBC estimates the cost of a Tomahawk cruise missile to be around $1.4 million. That cost may or may not include the costs of launching the missile, building the naval ship that holds the missile, paying the crew of that ship or the environmental cost of the pollution generated by that ship. The $1.4 million probably does not include the cost paid by the victims of American imperialism. Our entire defense budget, inflated as it is, couldn’t represent the value that might exist in the lives of the citizens of Latin America, the Middle East, Southeast Asia, South America and Africa had they not been conscripted into the sweatshops, plantations and mines of global capitalism. From the very beginning, the U.S. has been a purveyor of violence in the name of empire. Indigenous people were exterminated and enslaved as were Native Africans, and the descendants of both groups go on without any form of reparations today. Since then, nothing has changed except the scale of the attacks and technology used; the rich get richer while the poor work, fight and die. As beneficiaries of empire, protesting its expansion is the least we can do. It is not enough to call the offices of our representatives. We ought to be engaged in derecruitment against the military, fighting to keep recruiters off of middle and high school campuses. We ought to rebuild the anti-war movement not just to make noise but to seize power and dismantle the American war machine. The Syrian Civil War didn’t end when Trump bombed them a year ago, and it won’t now either. History clearly shows what the consequences of American involvement in foreign conflicts will be. As evil as Assad is, he doesn’t have near as much blood on his hands as the US.